Apple’s newest toy, Apple Watch Series 3 is set to be released Friday, 22 September, but those with review units noticed some bugs with the new watch. Lauren Goode from the Verge has one of those review units, and already had the watch replaced due to connectivity issues with LTE. The replacement unit is still experiencing the same connectivity issues. Are you ready for Beast Mobile? Marshawn Lynch (yes, BeastMode himself) is jumping into the MVNO market with Beast Mobile starting at $24/month with unlimited talk/text, and 1GB of data. After what I would call a fumble last week by T-Mobile with their “Free Netflix” deal not being as sweet as implied, T-Mobile rebounds this week with a sweet move that benefits heavy data users. T-Mobile has always been the most lenient with their “unlimited” plans in the past and announced they will continue to be that way in the future. On 6 September, T-Mobile announced they would be offering free Netflix to customers with T-Mobile One unlimited plans that would go live on 12 September. On the surface this looks like an amazing deal worth about $120/year for those currently paying $9.99/month for the basic Netflix plan. But if you’re on a $100/2 line One unlimited plan, this deal isn’t for you. 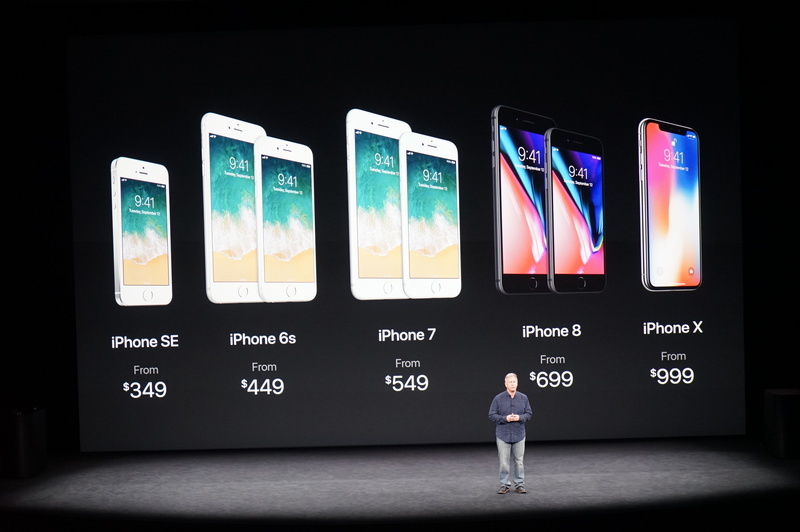 Apple, the company that told you that you only needed one phone, with one button now has 8 different phones for sale at once. Way back in 2007 Apple came to market with the first 3.5” glass touchscreen phone that changed the mobile device market forever. They did it with one phone that came in one size, with one button for the next 5 years and balked at Google and Android phones that were produced in all shapes and sizes and even the extremely large for the time original 5.3” Samsung Note. Fast forward to 2017 and oh how times have changed…..